Classes are custom tailored to meet the interests and needs of each group. No matter your age or cooking experience, Marla offers cooking lessons and group classes for everyone. Whether you’d like a private lesson or a small group class you’ll have lots of fun while learning. Think of the fun, gathering a group of friends and family for one or a series of cooking lessons! Church and synagogue groups, men’s clubs, sisterhoods, work colleagues and families enjoy spending time together cooking great cuisine in a fun and entertaining atmosphere. Classes can be designed to suit each group’s interest. 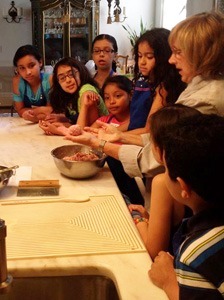 Children and Teenagers have a blast learning hands-on to cook and bake easy and creative recipes. They enjoy a basic introduction to kitchen skills, learn about ingredients and how to work together to create delicious foods they will be able to do at home. 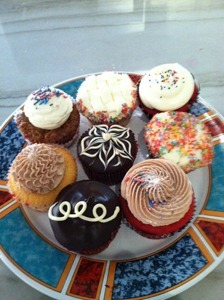 Get together at Cook Ease’s professional kitchen or your home, school, community center, church or synagogue. Teenagers have a blast in the kitchen. 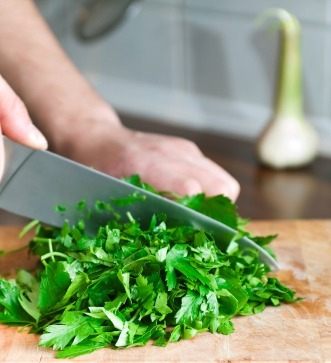 Introduce teens to preparing healthy and delicious menus in Marla’s professional North New Jersey kitchen or your own. Plan a teen cooking challenge, a parent-teen event, Sweet Sixteen, birthday party or club outing. Learn kitchen skills, prepare meals or have a bake-off…it will definitely be memorable and tasty! TEEN CHEF CHALLENGE: a fully participatory cooking class series featuring customized menus. Learn life long skills through collaboration and competition. Students will prepare full menus, learn knife skills, cooking techniques, secret kitchen tricks and EAT WELL! Each class includes a competition, the “Firecracker challenge” where teams compete to make the best ???? Judges critique the finished goods. Be part of the action! !